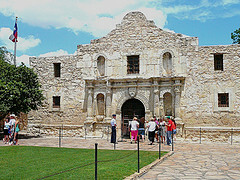 A perfect Texas vacation has to include San Antonio, the 8th Most Popular US Destination! San Antonio, Texas. This is the home of the Alamo and courage, independent sprit and love of freedom still exists here to this very day. One visit will show you why this city is our choice for the most popular destination in the Lone Star State. Keep in mind that the Mardi Gras celebration is going to take place on the city streets in March. The nation's eighth largest city is San Antonio and the residents pull out all the stops when they host the annual Fiesta celebration in April. The weather during the spring is very mild, and the flowers and trees are all beginning to burst into beautiful colors to provide a brilliant backdrop for the parades, pageants, dances, live music shows and other Fiesta attractions. We were able to enjoy the sites and sound of the southwest when we took a tour of the town along the San Antonio River Walk. This let us take our time exploring the city and we were able to get acquainted with the culture of the region. We also got a personal introduction to some of the city's most popular stores and restaurants. Travel by boat on one of the Rio San Antonio Cruises and view the city's skyline in comfort. At Alamo Plaza we took the family on a tour of San Antonio's very own Ripley's Museum. While the Alamo is always a top attraction in San Antonio we made time to check out nearby San Marcos where outlets provided us with some amazing deals. 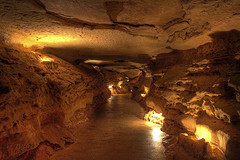 Everyone will love the Natural Bridge Caverns. Six Flags, Sea World, and the Schlitterbahn Waterpark are a few of the San Antonio destinations that we highly recommend. For our lodging we chose Hampton Inn near the River Walk which offered clean, comfortable rooms and great service at an affordable price. Another place you might want to consider is the Hotel Valencia which is also located on the River Walk which is a little more upscale. We usually use Travelocity. Their selection and accuracy is the best. Now Save Up to $525 when booking a F+H Vacation Package with Travelocity. 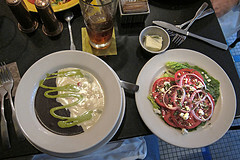 While visiting the River Walk we enjoyed the Tex-Mex menu offered at the Acenar Mexican Food Restaurant. Another of our favorite stops was at Aldaco's Sunset Station where we enjoyed tacos, enchiladas and an Avocado Margarita. Boudro's is a restaurant on Commerce Street in San Antonio and it is also listed among the top 50 US restaurants. This is an upscale restaurant and the food is unbelievably good. This Texas city prides itself on delivering adventure, fun and hospitality. With a wealth of attractions and landmarks to choose from the most difficult part of your trip will be trying to find time for everything you want to do.